This class is short and sweet and right to the point. We will explore the structure of Downward Facing Dog through our upper legs, and work to stretch the hamstrings in this 30-minute Hatha-style class. You'll build body awareness and open the back of your legs. Elvis was born in Guadalajara, Mexico and was raised in Wenatchee, Washington. For Elvis, yoga is an extension of his passion for movement and his love of the performing arts. 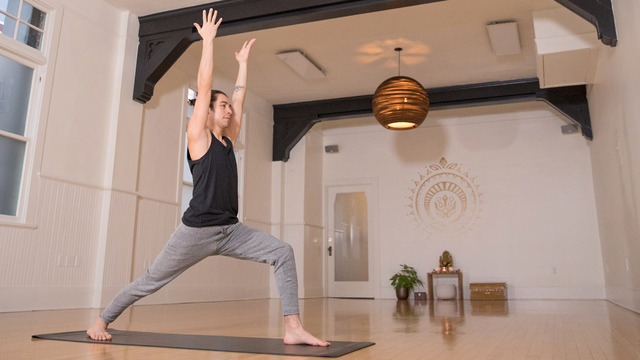 Just as a performer must find strength and stability in the preparation leading to the final performance, Elvis finds the same joy in building the basics of an asana practice as a base to flourish into a beautiful expression of movement. He holds a high regard for the simplicity of the practice, for not only does everything you need lie in the basics, but it is also where beauty and clarity are found. 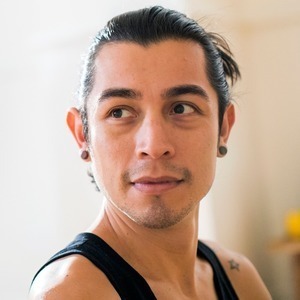 Elvis was trained by Annie Carpenter and aligns his instruction style and yoga values with the SmartFLOW methodology, which blends the discipline of classic yoga with anatomic awareness and fluid transitions. He now resides in Seattle, where he owns and teaches at his yoga studio, Seattle Yoga Lounge, in the Greenlake neighborhood.